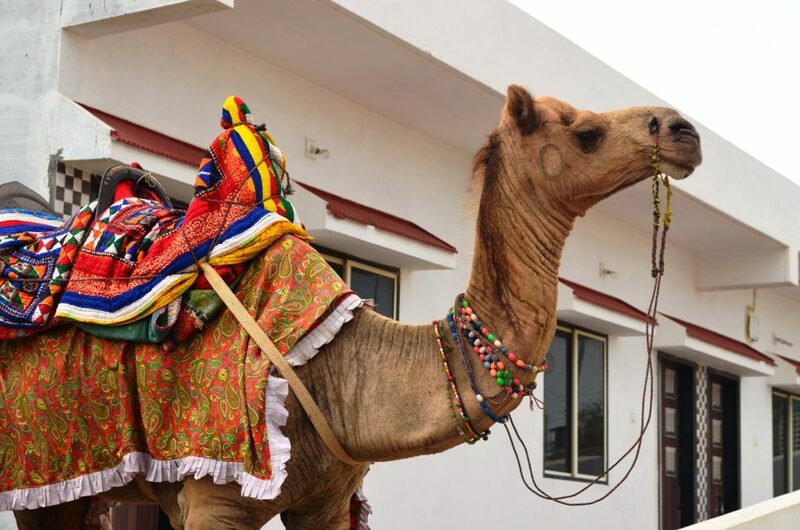 Kutch or Kachchh, India’s wild west, is a geographical phenomenon, full of rugged, fiery beauty. What appears an endless desert plain running dead straight for the horizon, is in fact a seasonal island. The tortoise-shaped land (kachbo means tortoise in Gujarat) is flat and dry, but the villages dotted throughout the dramatic, inhospitable landscape feel like pre-partition Pakistan, and the tribal villagers produce some of India’s finest folk textiles, glittering with exquisite embroidery and mirror work. It’s edged by the Gulf of Kutch- a dangerous swirling sea- and Great and little Ranns. During the dry season, the Ranns are vast expanses of hard, dried mud. Then, with the start of the monsoon, they are flooded first by seawater, then by fresh river water. The salt in the soil makes the low-lying marsh area almost completely barren. Only on scattered islands above the salt level is there vegetation – coarse grass- which provides fodder for the region’s rich wildlife. The Indus River once flowed through Kutch- and along the route once inhabited by the 5000 year old Indus Civilisation- until a massive earthquake in 1819 altered its course, leaving behind this salt desert. A mammoth earthquake in January 2001 again altered the landscape, taking some 30,000 lives, and destroying many villages completely. Although the effects of the tragedy will resonate for generations, the residents have determinedly rebuilt their lives and are amazingly welcoming to visitors. Kutch is one of India’s richest areas for handicrafts, particularly famed for its beautiful embroidery work, but also with many villages specializing in pottery or block printing. The local Jat, Ahir, Harijan and nomadic Rabari communities have distinct, colourful traditions that make their villages fascinating to visit.